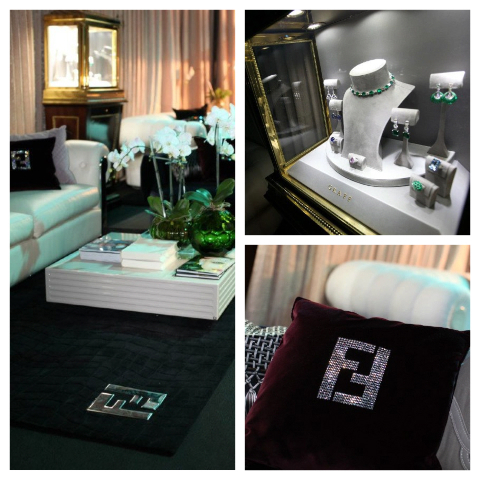 We are thrilled to have Graff Diamonds and FENDI CASA Luxury Living back again for the third consecutive year! Graff Diamonds, famous around the world for their fabulous, exquisite jewels, will sponsor the Screen Actors Guild Awards® Green Room to honor the charitable works of actors and the Screen Actors Guild Foundation, while FENDI CASA Luxury Living (Fendi’s luxurious home design collection) is designing and furnishing the retreat. What is the Green Room? It’s where the presenters go to await their moment on stage away from the hustle and bustle of the showroom. The elegant and comfortable space will couple Graff’s delicate works of art in gemstones with Fendi’s sumptuous materials and stylish details. Check out our full release here.